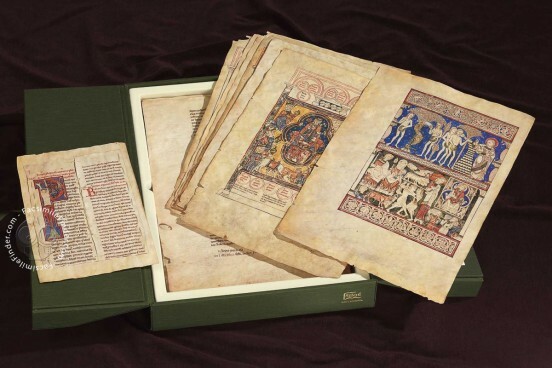 The famous Biblia de Burgos is one of the most valuable Romanesque codices preserved till now. Everything suggests that it originally could have three volumes, from which only one is preserved. 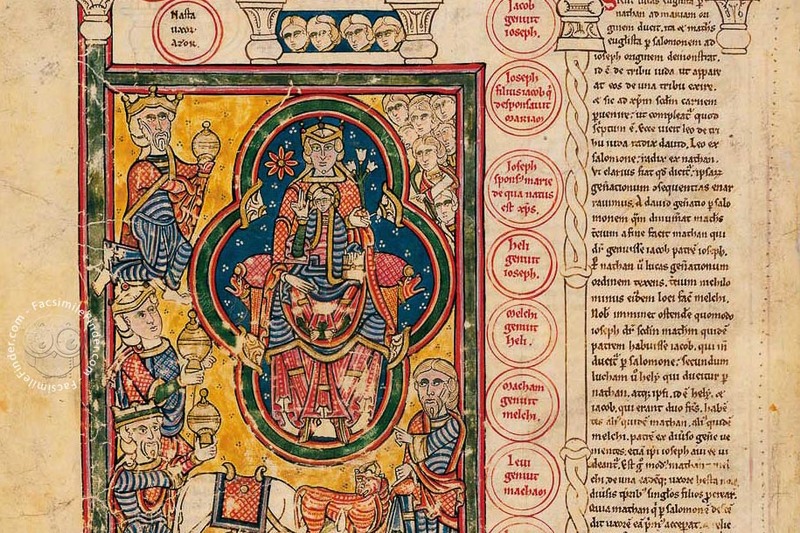 Recently, the other two fragments were discovered, sewed to other biblical codex of Monasterio de las Huelgas. They could be the witnesses of the third volume. 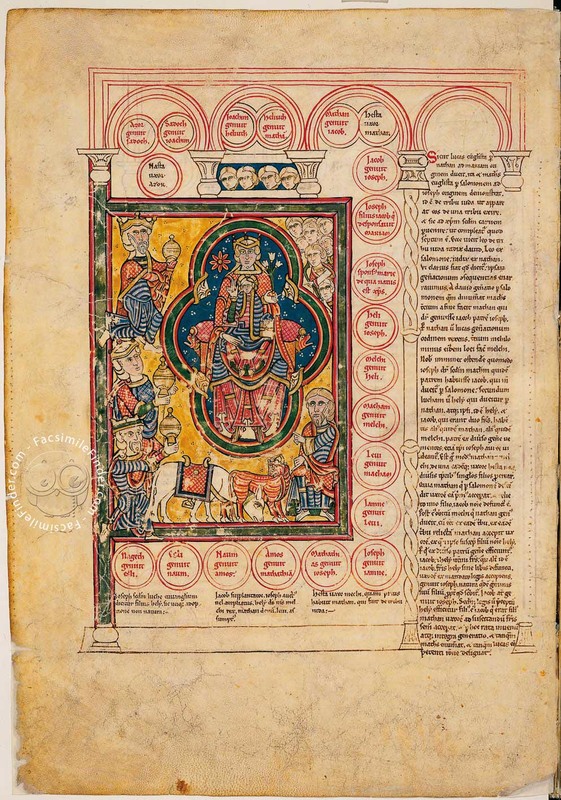 The sublime and aforementioned folio 12v, contains the valuable iconographic programme of the original sin and the expulsion from paradise, which is, one of the most outstanding of all Castilian Romanesque biblical scenes and constitutes an “unicum” of the European Romanesque miniatures. It is shown on this pages the eternal fight between good and evil, in which man is witness and main character at the same time. 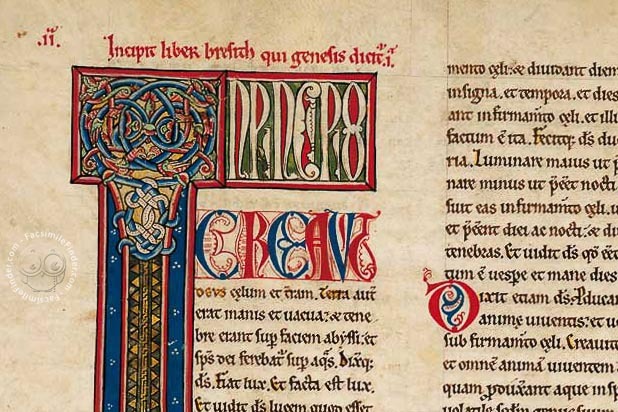 In these fantastic representations – likewise in all the Romanesque – becomes evident the human effort to stay in the side of good. 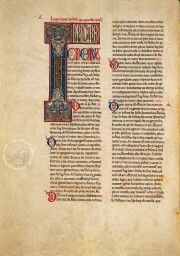 That is why The Supreme Good – God – must be represented in all its splendour and expressive strength. 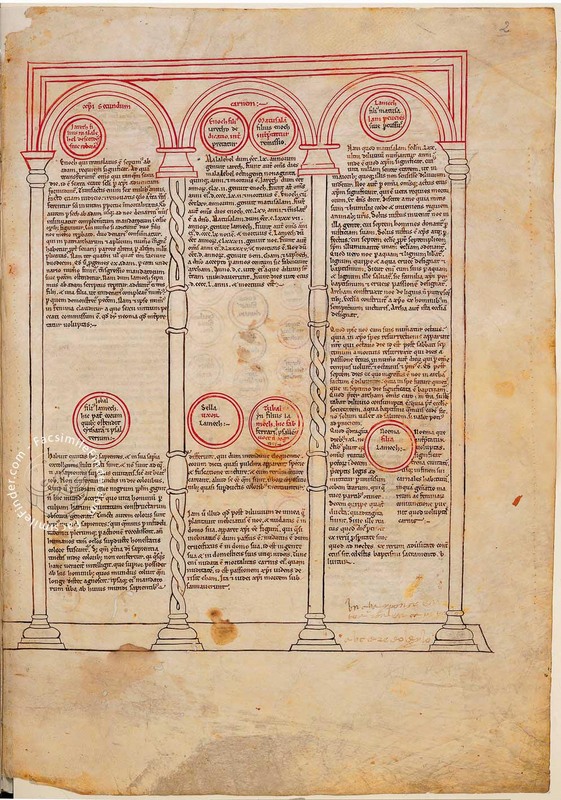 That is the reason of the wonderful proliferation of the “Maiestas Domini” (or “Maiestas Mariae”, as well as the excellent one which appears on this Bible), in which the wish is finally transformed and it is depicted in a real explosion of beauty. 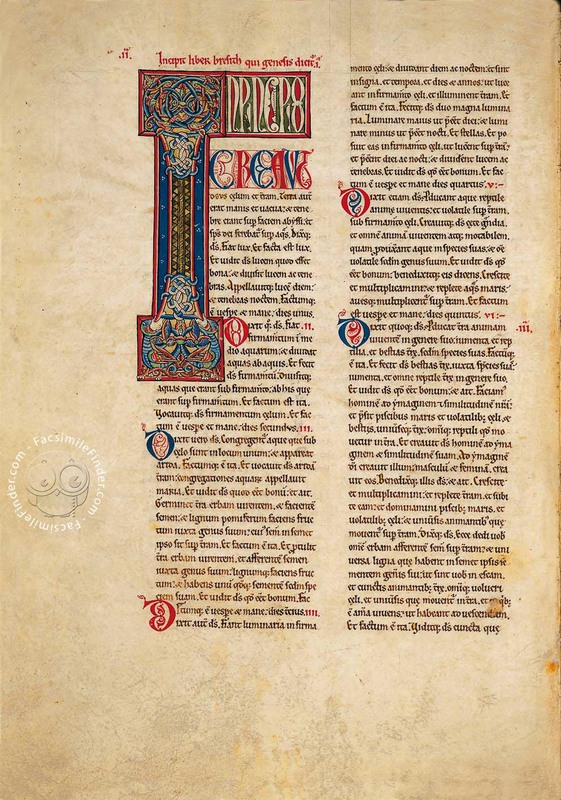 This is a partial facsimile of one or more portions of the original document, Romanesque Bible of Burgos: the facsimile might represent only a part, or doesn't attempt to replicate the format, or doesn't imitate the look-and-feel of the original document. 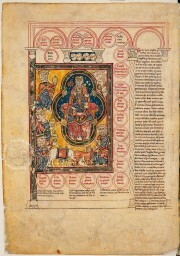 This facsimile edition reproduces only a selection of 33 folios from the fragments at the Biblioteca Pública del Estado and Monasterio de Santa Maria la Real de las Huelgas in Burgos.